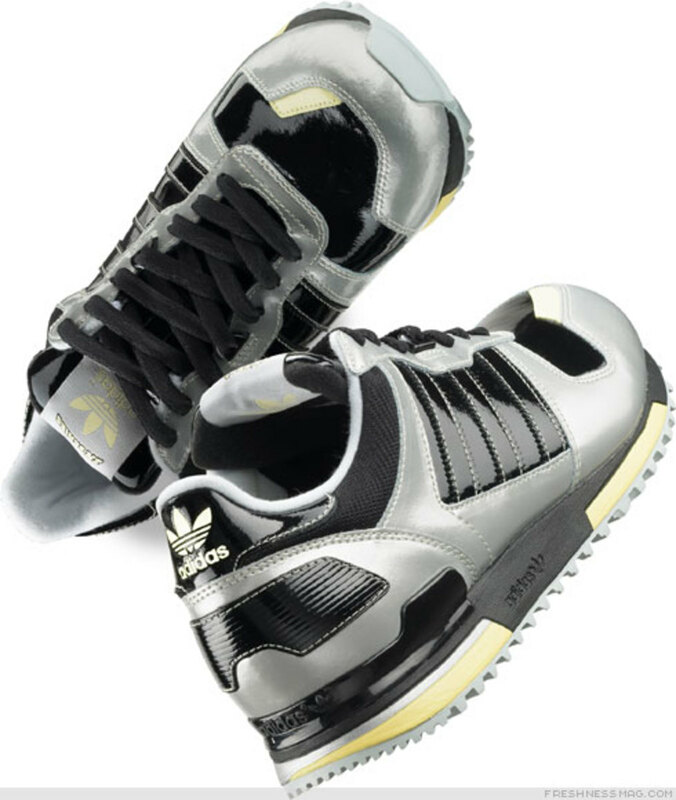 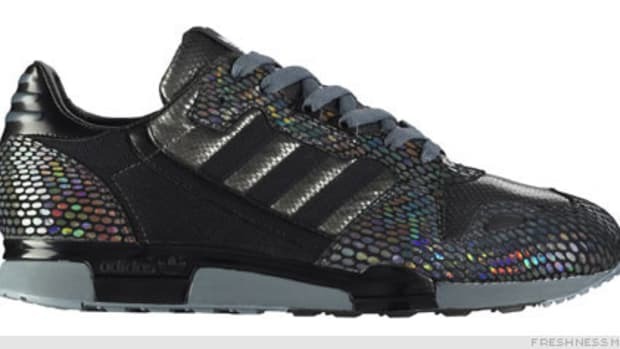 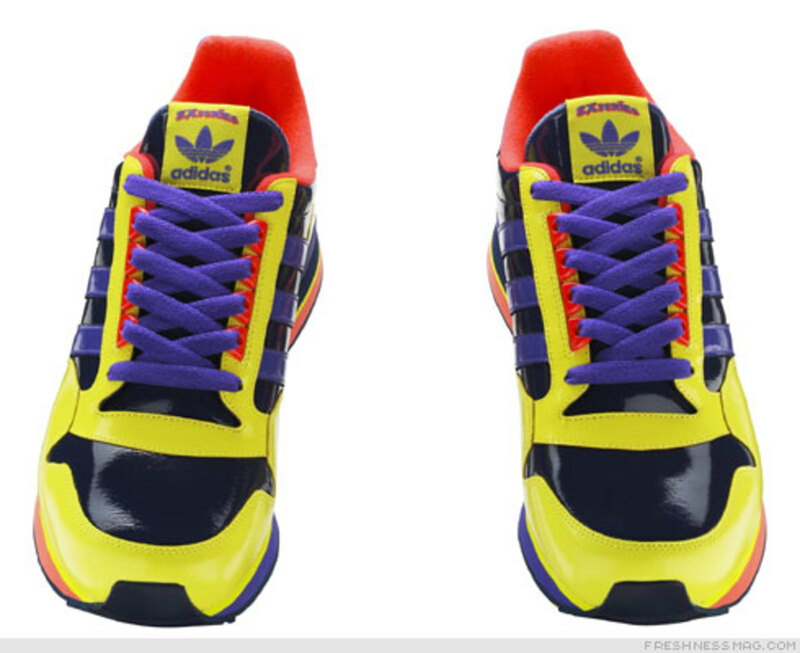 The application of patent leather to the uppers of this ZX Family moves the range into un-chartered territories. 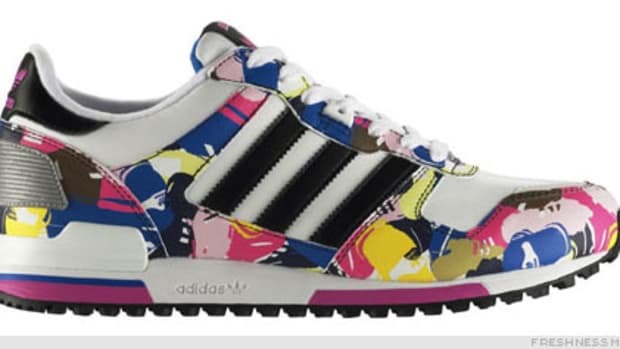 Durable, eye-catching and authentic the patent makes these models really stand out. 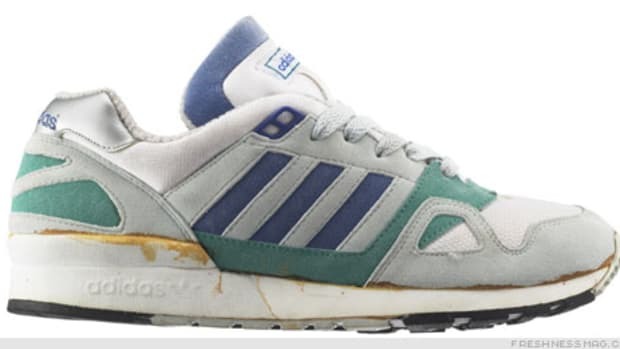 The ZX 500 was originally released in 1984, quickly setting the benchmark for quality high mileage footwear. 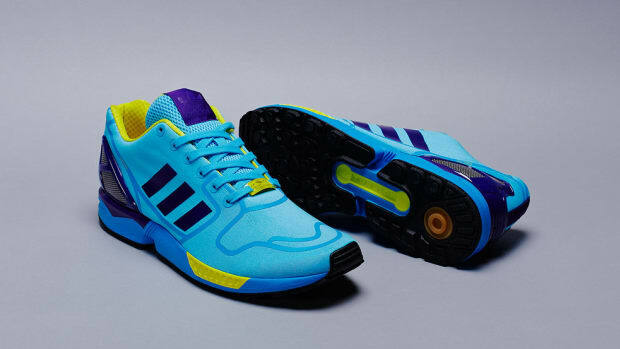 The combination midsole features an extended heel counter to give the wearer maximum stabilization. 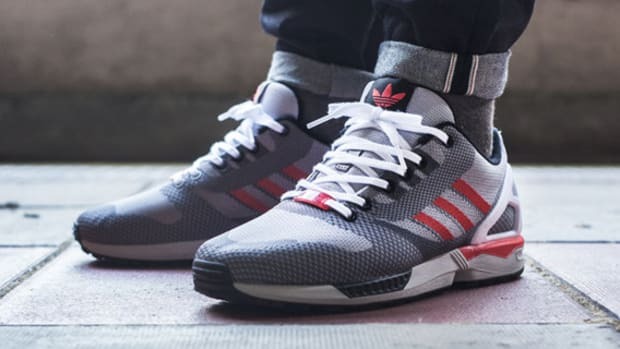 The original upper was constructed of nylon mesh with suede reinforcements, but this version utilizes a patent material to give a luxurious finish to the model. 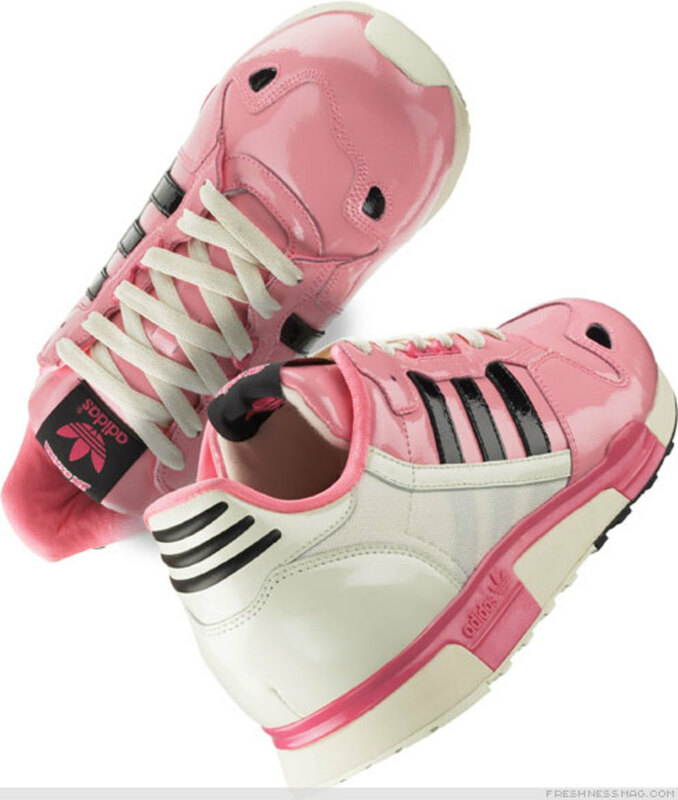 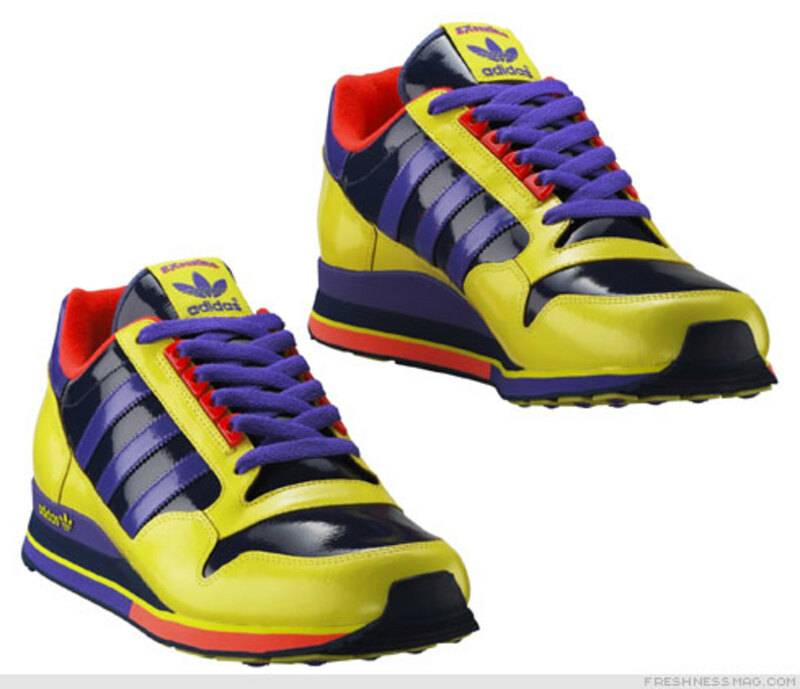 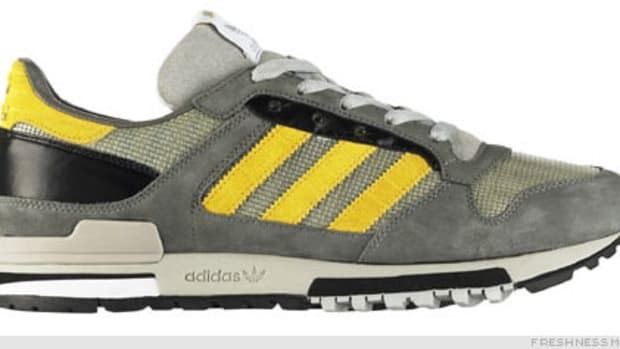 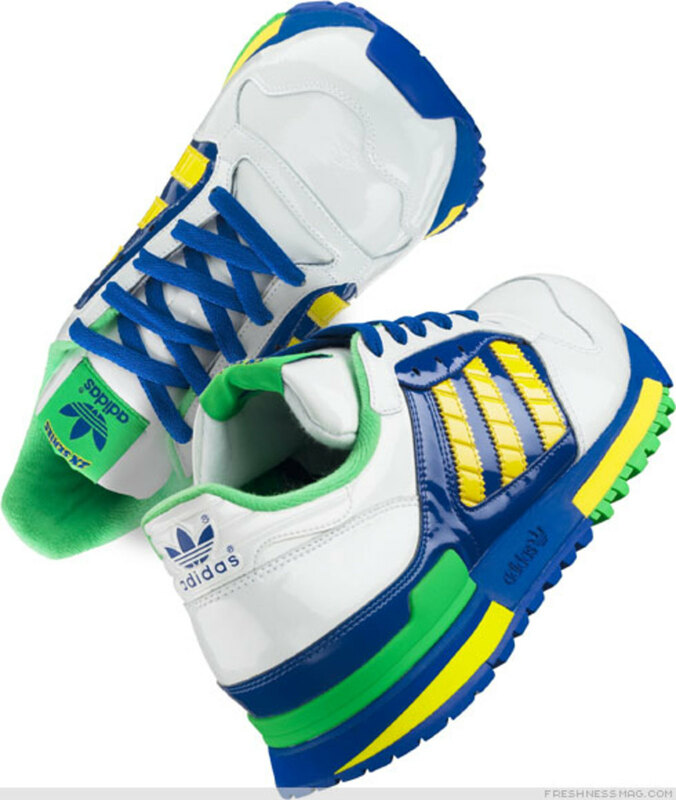 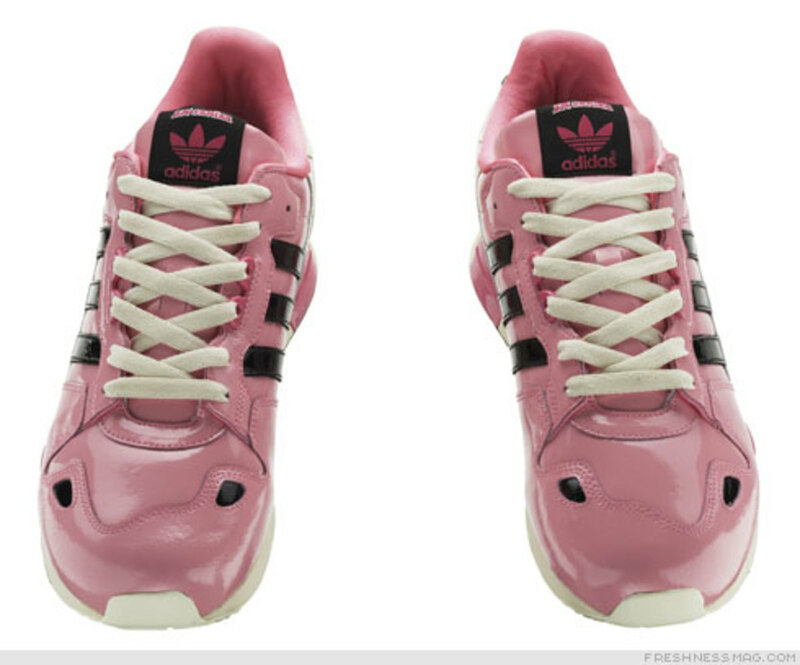 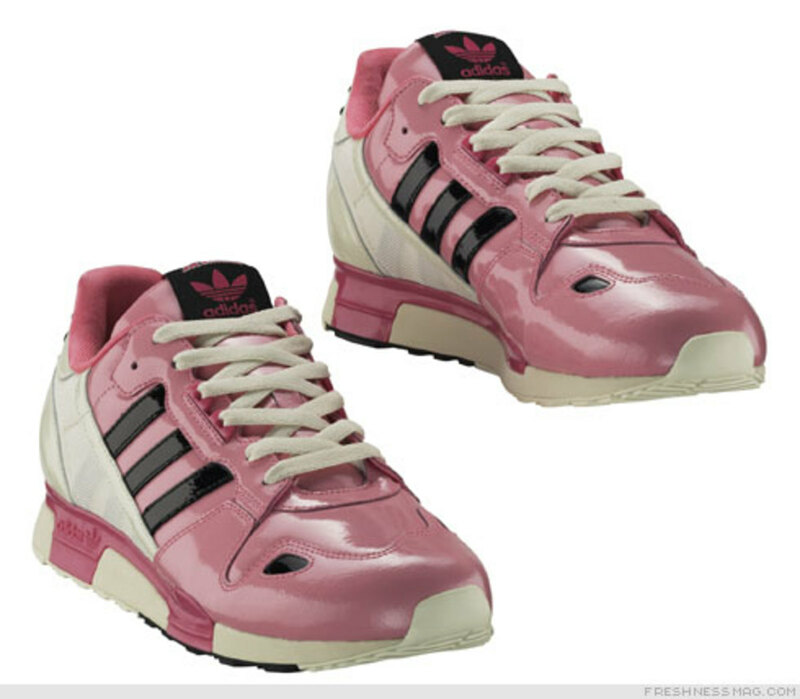 The ZX 600 was originally released in 1985, entering the market as an excellent training shoe. 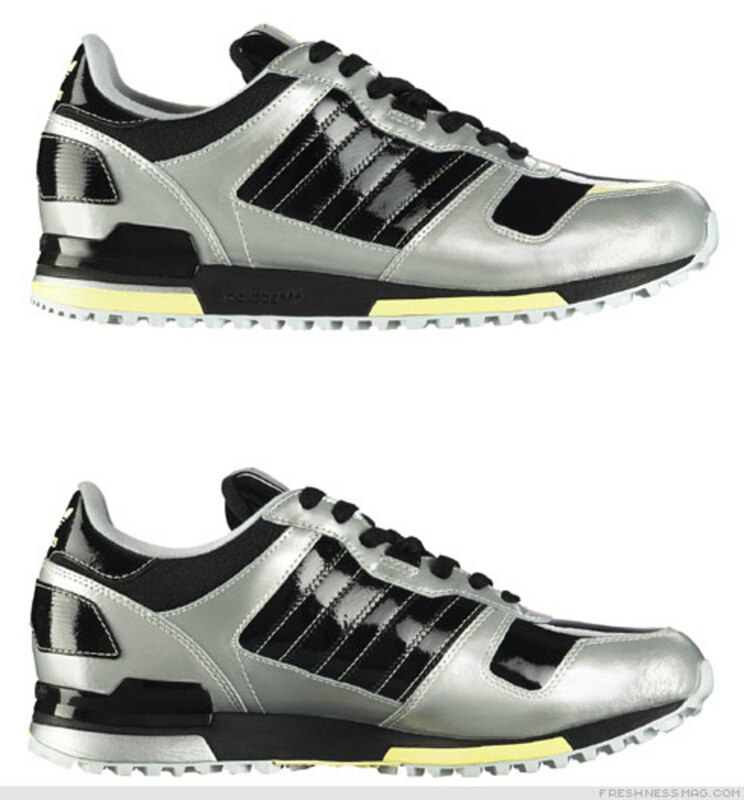 The outsole features two different durometers of rubber, designed for optimum reinforcement in the critical strike areas. 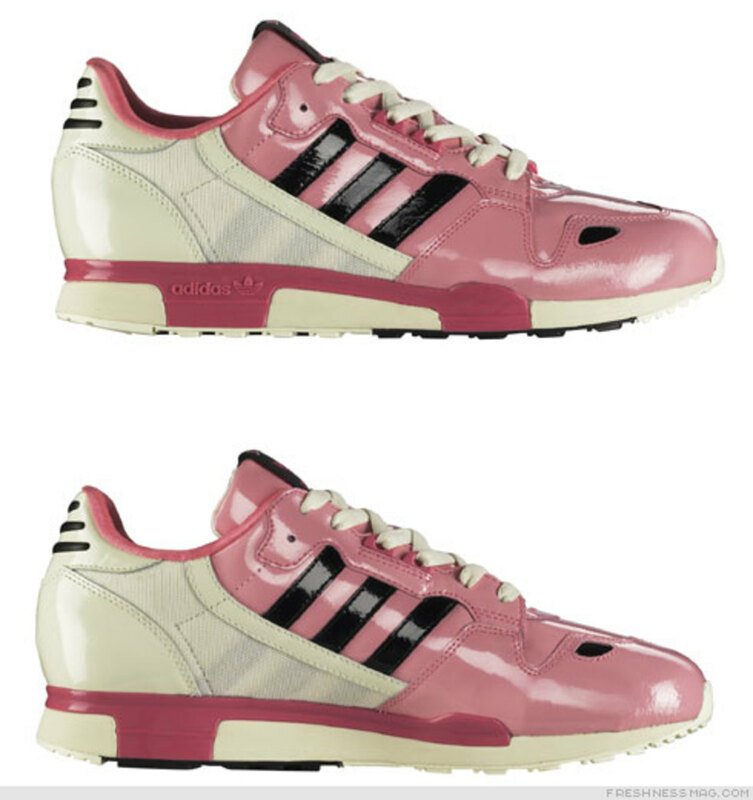 The original upper of nylon and mesh has been replaced with a bright patent leather treatment, adding a unique style to the shoe. 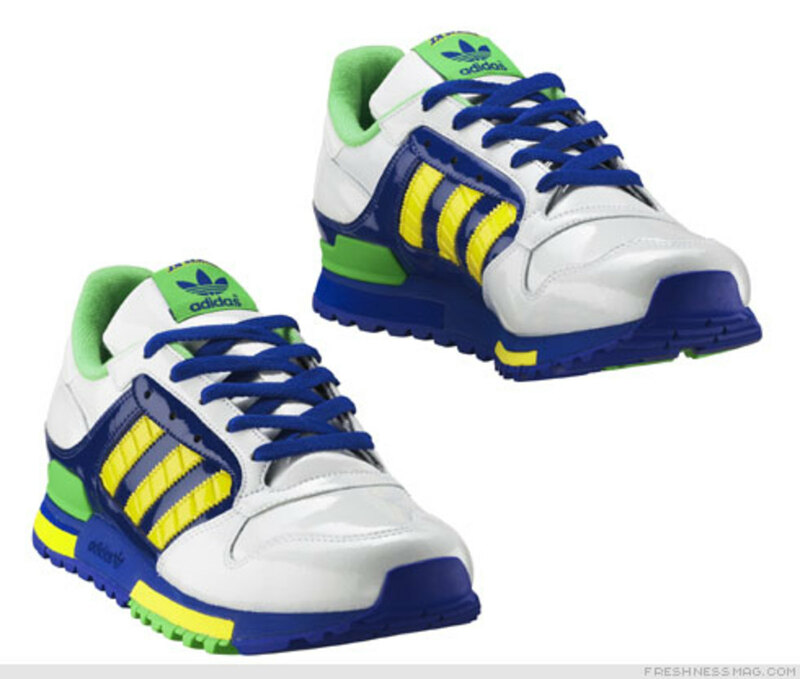 This model debuted in the summer of 1985, designed for the high mileage runner looking for more support in the sole. 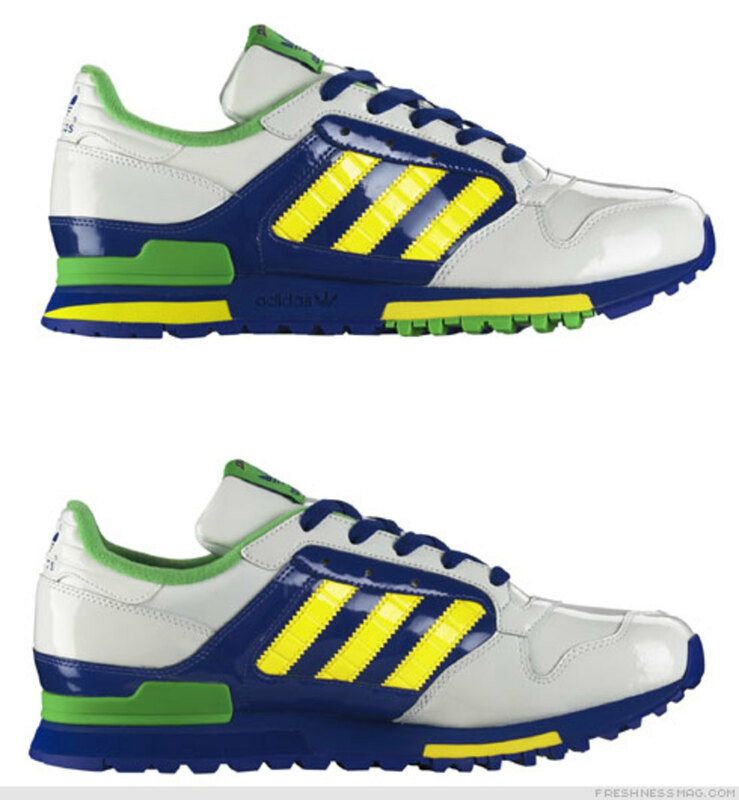 The construction of the midsole is designed to prevent over pronation and supination, while the outsole offers good traction and shock absorption. 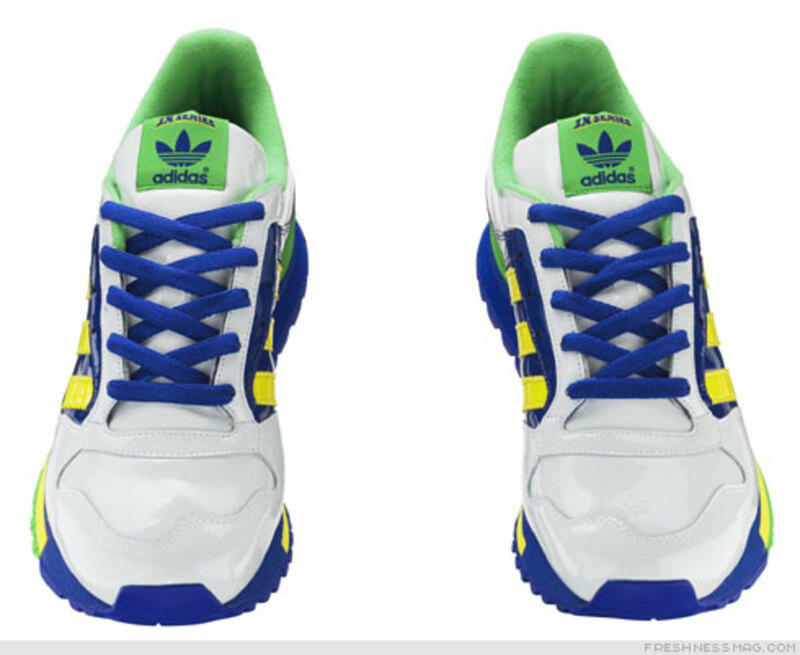 The combination of different lacing systems offers the wearer a totally unique and adjustable fit. 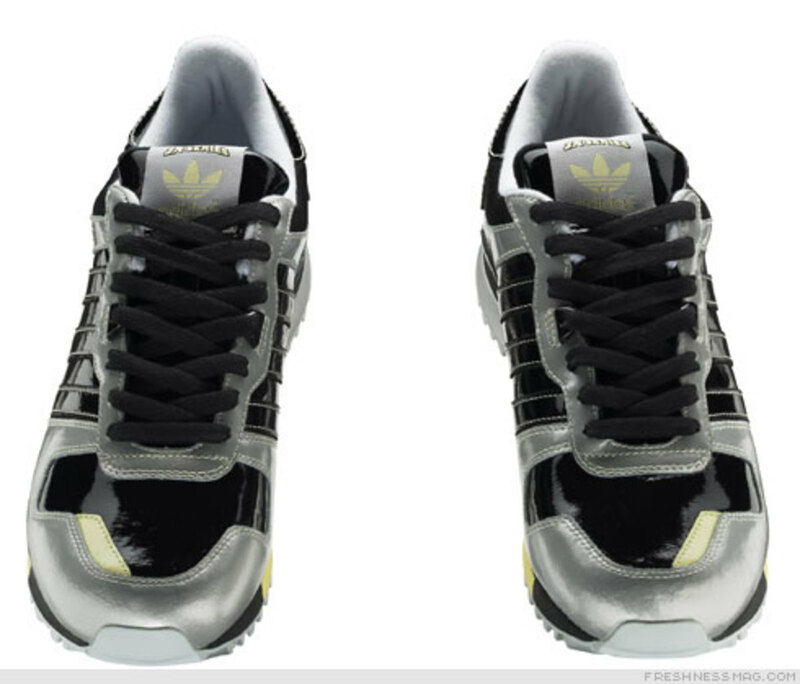 The use of a premium style patent leather on the upper adds a new perspective to the model. 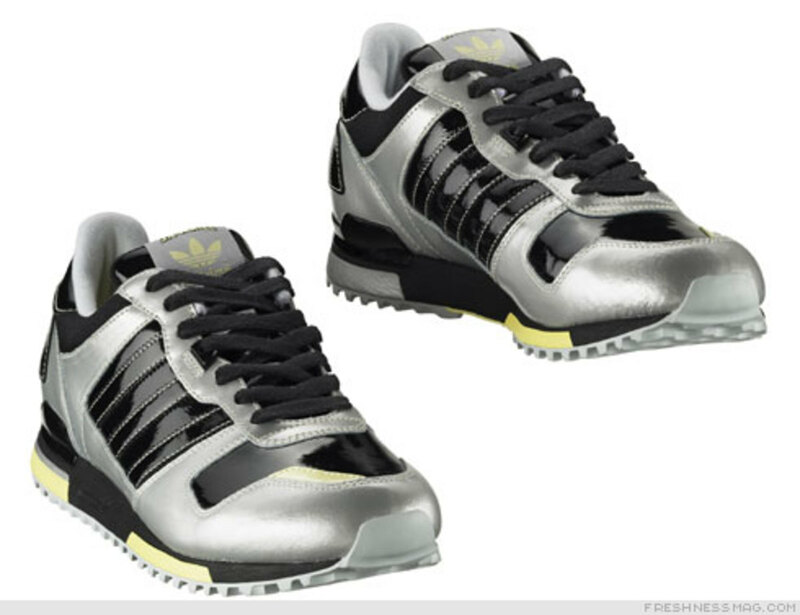 First released in 1986, the ZX 800 demonstrated the highest level of athletic performance footwear. 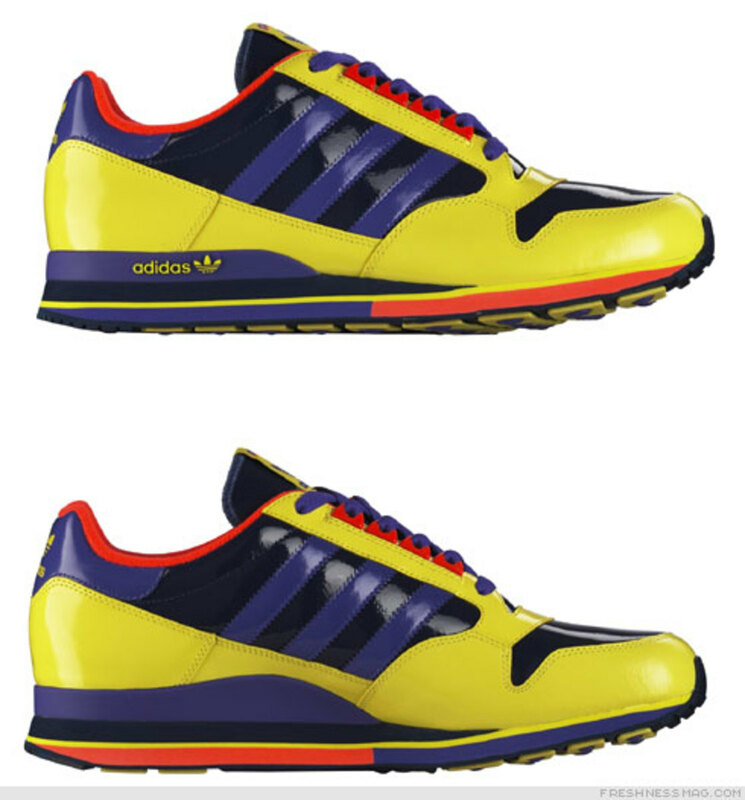 With a reinforced outsole to reduce impact and encapsulated stabilizing pieces in the midsole, this shoe was designed for the serious runner. 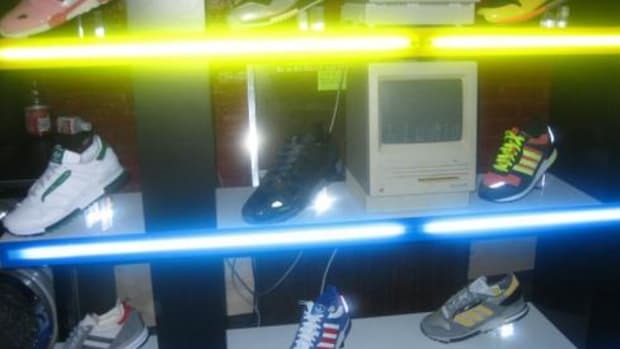 Reflective patches added a feature that looked good but was entirely functional. 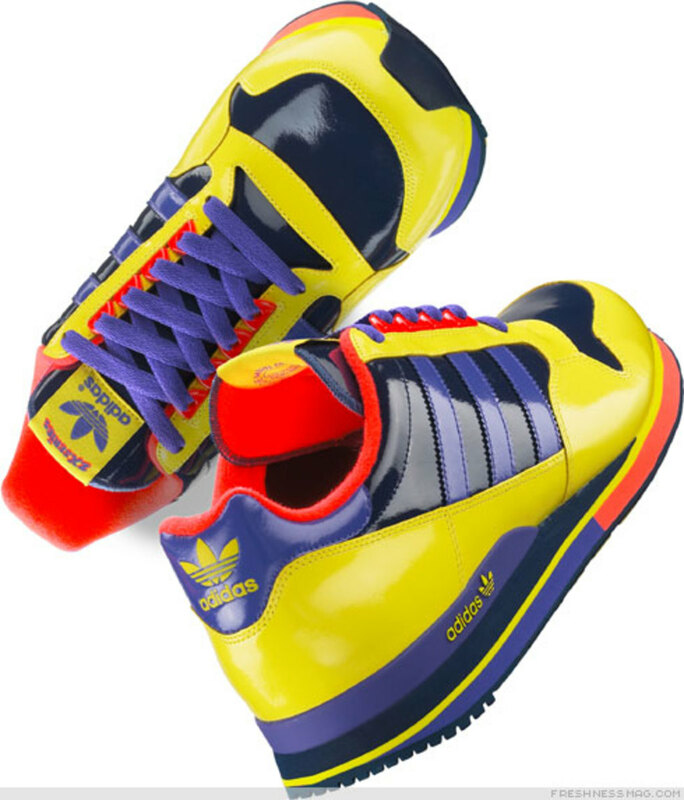 The regular nylon upper has been upgraded with a premium patent leather in a unique and original colour way.